This bouquet is a world of contradictions brought into harmony. The pink lisianthus, pink roses, red hypericum and pink viburnum create a cacophony of riotous colours and textures. 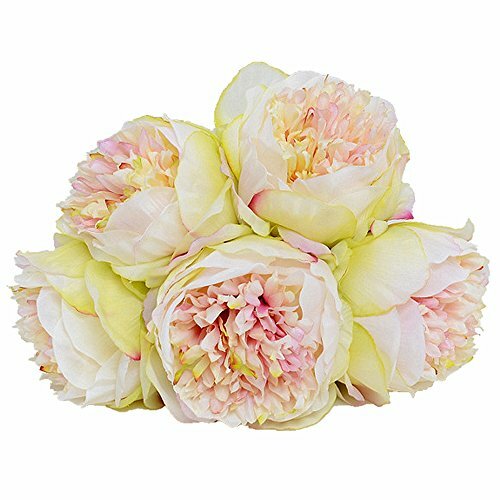 Material: Silk; Height: About 30cm/ 11.8" 1 Bouquet includes: 5 x Peony Lifelike artificial flower that remains just as fresh-looking and beautiful year after year. Made of high quality eco-friendly silk cloth.Easy to clean. Total Height: 45 cm/17.7''. 5 big flower heads.Each flower measured approx. 15cm/6'' in diameter. 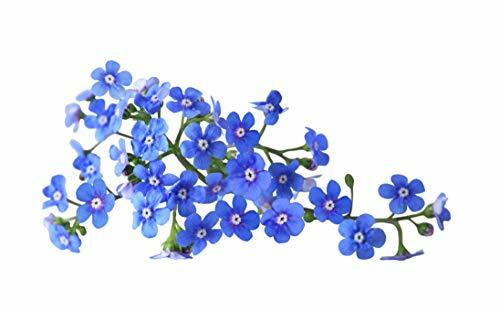 High simulation:Lifelike artificial flowers and thick texture clear lines leaves.Could remains just as fresh-looking and beautiful year after year. 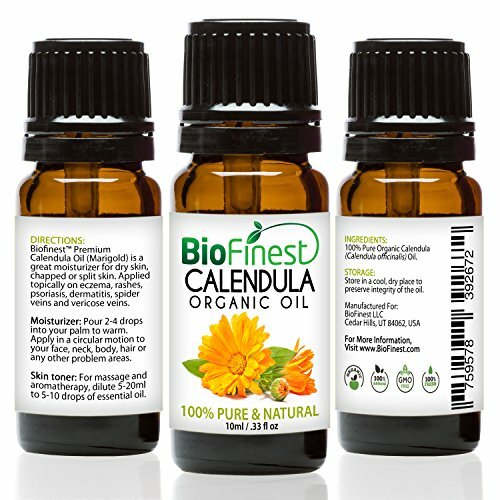 PREMIUM QUALITY CALAMUS OIL: 100% Pure - Non-Toxic - No Additives - Unfiltered and Undiluted with No Fillers. Vegan certified, paraben free and cruelty free. 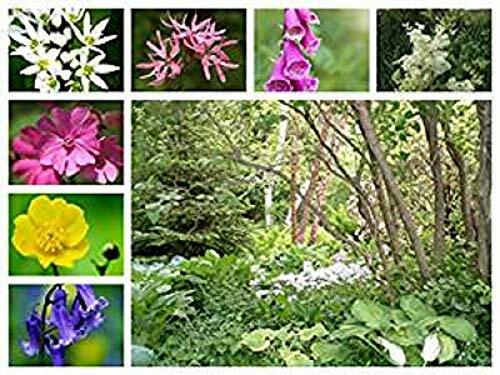 FREE E-BOOK GUIDE (worth $37): Exclusive access to Biofinest comprehensive essential oil guide "100 Ways To Use Essential Oil". Printable and beginner friendly! PACKAGED IN USA, ELEGANT AMBER BOTTLE: Comes with premium euro dropper cap for easy dispensing. No Leakage or Dripping. Best value for your money! Material: glass. 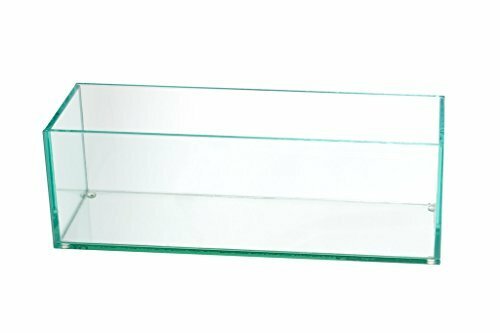 Weight: 284g, Dimensions: height 21.5cm, top width 3.3cm, narrowest width 3cm Small waist design shape, simple and elegant. 1. 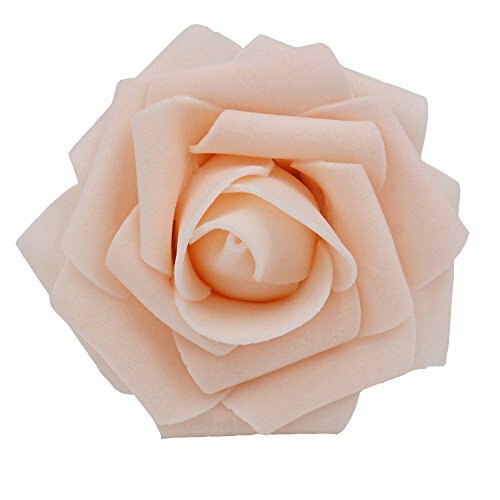 This artificial Roses flower is made of high quality soft latex foam.Eco-friendly PE material,realistic fake flowers looks like fresh rose. 2. SIZE: total height 23cm/9inch,Each rose head diameter 8cm/3.1inch. 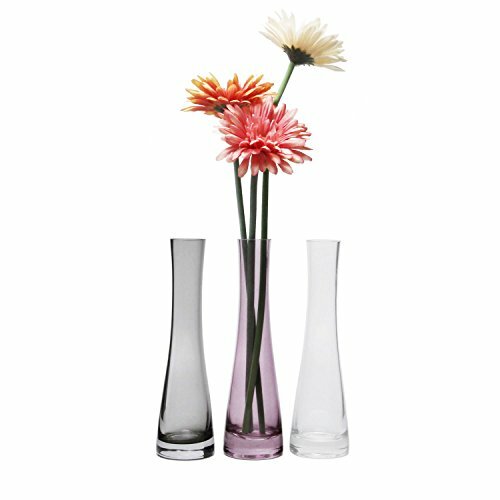 Stem height 18cm/7.1inch,It's proper artificial flowers for DIY decoration. 3. The stem is thin wire stem,It's easily bent or cut down as you need. 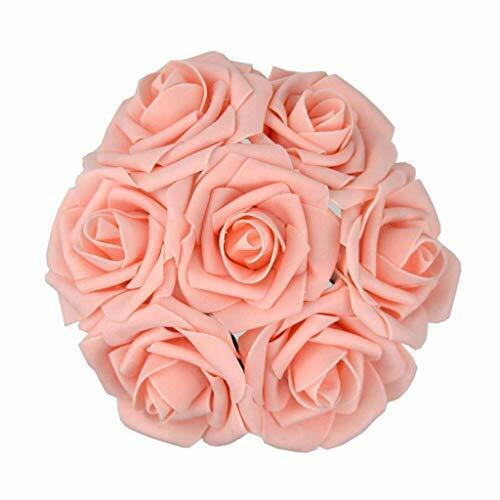 They are perfect for making bouquets,centerpieces,kissing balls,boutonnieres,cake flowers or any other flower decorations/arrangements that you want at your wedding, party, baby shower or home. 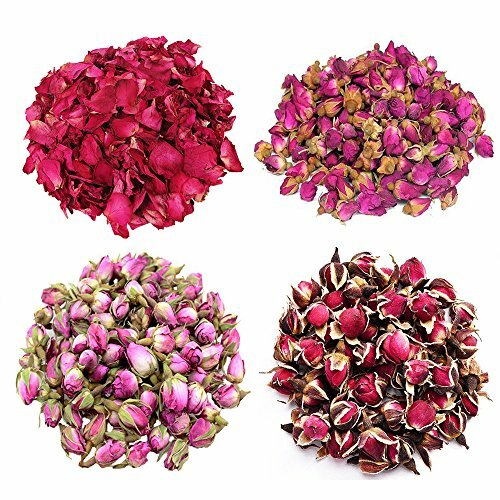 4 bags per box Flower Petals and Buds: Rose Petals, Rose Buds, Rosa Damascena, Golden-rim Rose. 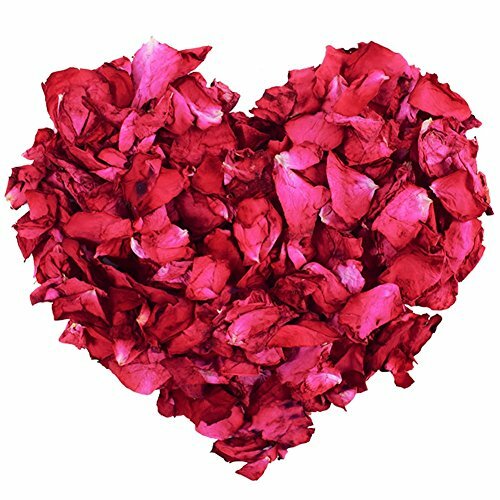 30g per bag, 4 different roses, all bags more than 4 ounce, 100% natural no additives. The Flower Petals and Buds are fresh and picked in the right season and it can last 3-6 months if keep cold and dry. Package includes 2 OZ Organic Dried Peppermint Leaf. 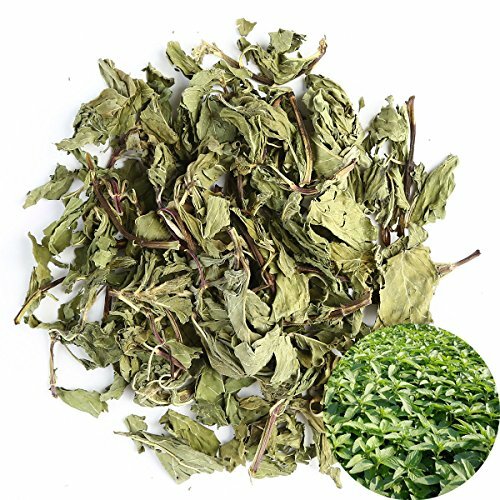 Top Grade Peppermint Leaf; Cut and sifted; Non-irradiated, for cooking, teas, and herbal body care products. 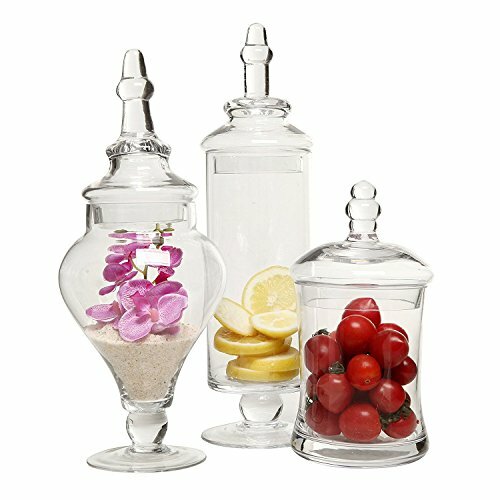 High Quality, Clean, Fresh, Light and Natural Sweet and lightly fragrant. 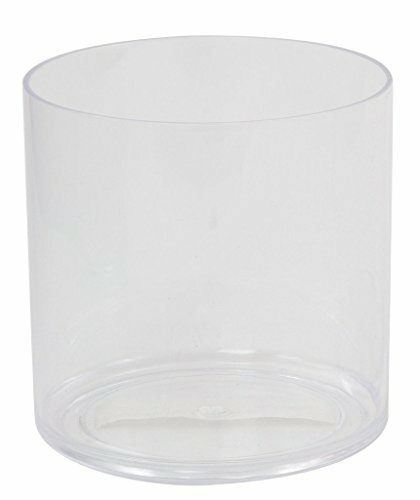 This cute, rounded bottom glass holder can be used as a flower vase for your short flowers and small bouquets. 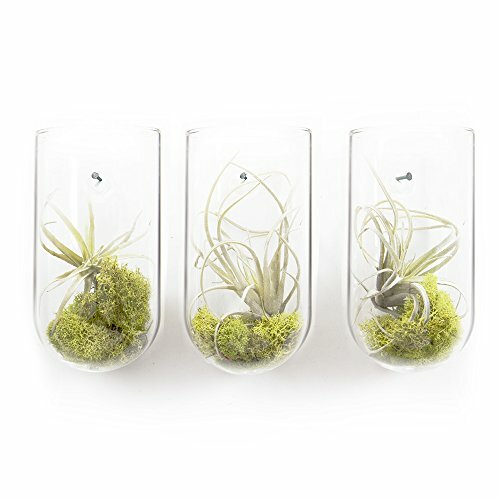 I also love to use this as a air plant holder, a planter for fresh herbs in my kitchen, or to plant a small 2" succulent or cactus. 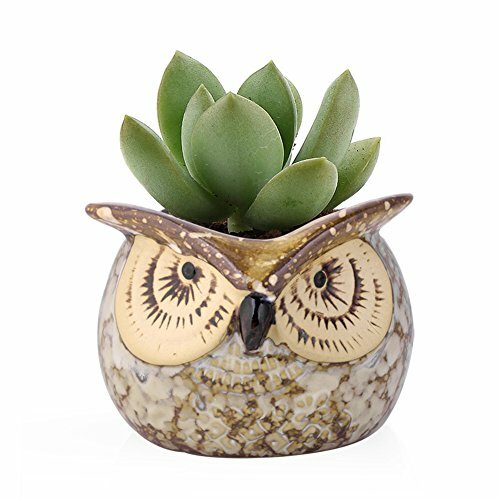 The back of this adorable vase is flat so it will sit flush against your wall. It does not come with hanging apparatus but all you need is a small nail or a screw to mount it to your wall. ❆ 10 Colors Mix Package: There are 10 colors for a package, each color has 10pcs, with 100pcs Bracelet Connectors. 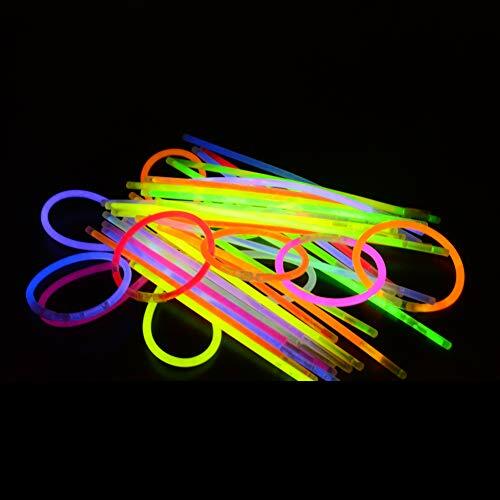 ❆ Widely Used: Can be used to create glow bracelets, necklaces, glasses, flowers, earrings, a glow ball and more! 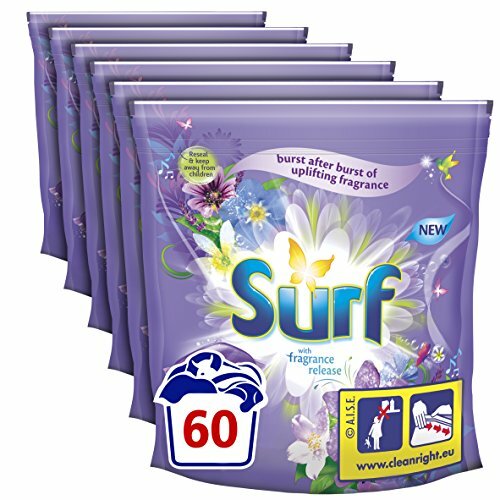 ❆ Long Lighting Life: Fresh from the factory- Ultra bright and can continue to light for more than 6 hours. Package includes 12 purple organza pack of lavender sachets,Beautiful Organza Sachets,Each pack 15 - 20 Grams. Filled with 100% natural dried Super Grade lavender buds. No harmful chemicals. Calm and smoothing delightful fresh ALL NATURAL lavender scent. Works Best in Small Enclosed Areas. PREMIUM QUALITY Eight Yarn Bonbon Skeins 100% Acrylic in Rainbow Colours - 30g each, with length of 65 yards(60m)! 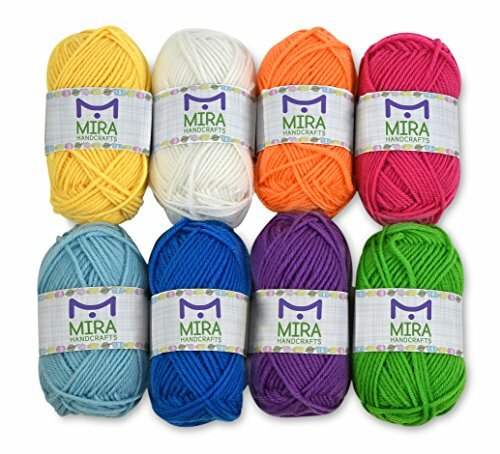 - Get a palette of fresh yarn colours to compliment any of your yarn projects, or inspire and create brand new ones. GET 10 FREE GIFTS WITH EVERY PACK - 2 Crochet Hooks and 2 Weaving Needles and 6 Ebooks. BECOME A MEMBER OF THE VAST YARN COMMUNITY TODAY - You can never be bored, as there are endless sources of yarn projects with detailed and easy to follow step by step guides on the internet - from yarn crafts, yarn home decorations and yarn toys, for the little ones, to yarn crochet and knitting project ideas. 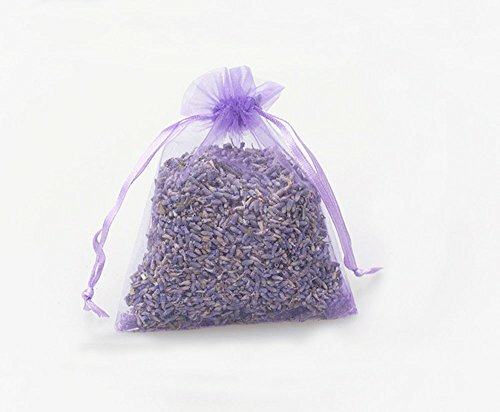 MULTI-USE AIR FRESHENER and CAR DEODORIZER: Whether you want to create a subtle lavender scent in your home or prevent old moth ball smell in your drawers, smelly shoes in your gym bag or wet dog smell in your garage, our fresh dried lavender bags spread a lovely, subtle scent that eliminates all nasty smells, making the air fresh and healthy. LAVENDER IS THE NUMBER ONE NATURAL REMEDY FOR GETTING RID OF MOTHS: Lavender smells great to us, but it's highly repellent to moths and other insects. Lavender scented sachets in your closet or drawer drive out moths and prevent them from entering your closet. Your closet and clothes smell lovely and are moth-free. RECHARGE AND REUSE: WORKS FOR MONTHS: Our natural deodorizer and air fresheners work 24/7 without power cords or batteries. 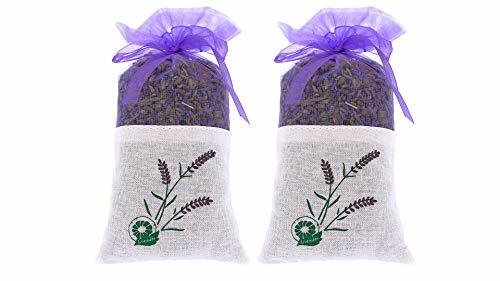 You can easily 'recharge' the bag by gently squeezing the lavender buds. 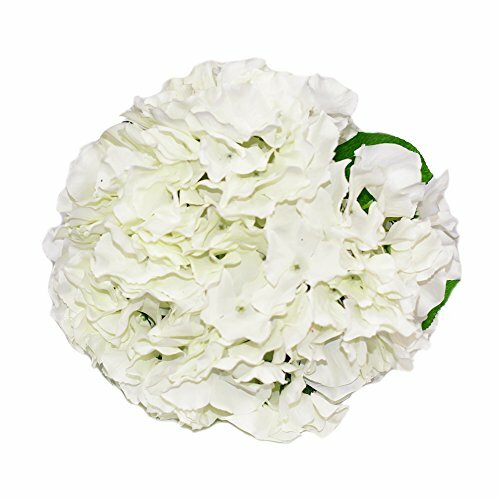 【Meet ANY DECOR DEMANDS】 The artificial silk hydrangea flower is versatile for any decor needs . Great wedding decor idea!Combine these blooming Flowers into lovely floral bouquets for the bride. Also Perfect for wreath,vase,home,garden,reception,office ,hotels,parties ,baby shower as well as other ceremonies. 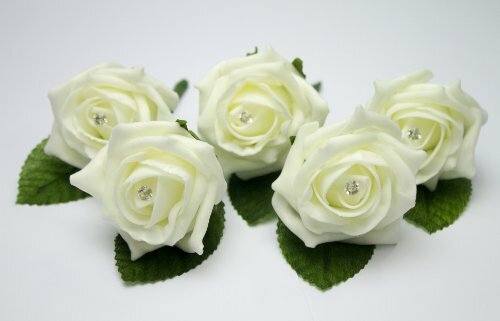 【REALISTIC and REAL TOUCH】 veryhome hydrangea silk flowers all look bloomed, touches softly. what most important is that,our fake flower will never fade and never requires water ,can be used all year round.Each bundle looks very life-like and full. 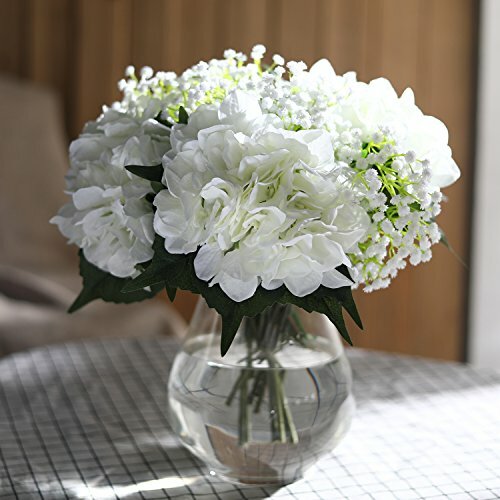 【GREAT FOR ARRANGEMENT】 Silk hydrangea flowers could be cut for arrangement,the stem could be bent and straighten.Leaves and flowers both could be taken apart and combined.best for flower arrangements.